This lovely Topiary was made by French illustrator and author of children’s literature Claude Ponti. 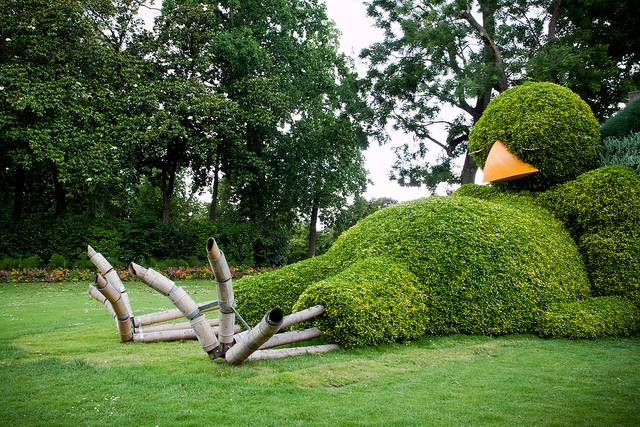 In 2013, he let some of the creatures he created frolick in the Jardin Des Plantes in Nantes, France. Since that time, he created and replaced several of these creatures each year and gave these plants stories ( for example, in 2015, two of the creatures had a baby together). This is so poetic and cute, having a walk in this garden must be a wonderful experience! Levens Halls gardens is a topiary garden created in the 1690s and located in Cumbria, England. 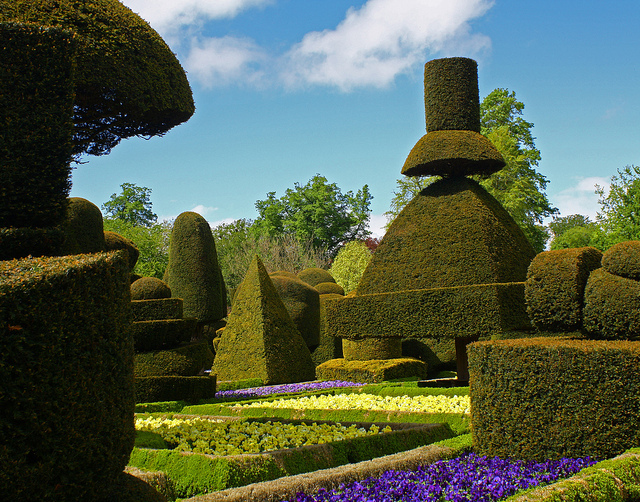 All the topiaries in Levens Hall have geometric shapes and several gardeners take care of them every day so they never lose their beauty. In Levens Hall, you can have a walk in the ten acres of the gardens and talk to gardeners about its history, you can also admire the ancient House built around the 13th century, or have a lovely meal while contemplating the beautiful landscapes offered by the fascinating topiaries. Every day feels better when there is something pretty to see. Who are those lovely people enjoying their days under the sun? Oh, wait… It is not real people, it is topiaries! 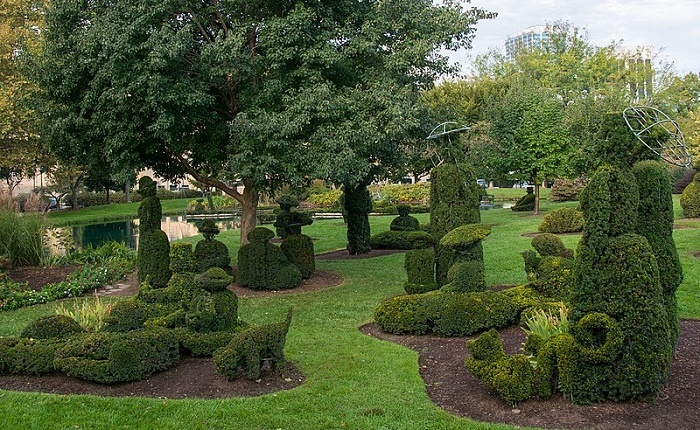 The Topiary Park in Columbus, Ohio was inspired by the Impressionist painting “A Sunday Afternoon on the Isle of La Grande Jatte” by Georges Seurat and made it becoming a work between art and nature. While visiting the 7 acres park, you can feel like you’re going back to the past, and becoming one with nature. In this Topiary park, humans, animals, and nature live all together in great harmony. Such a peaceful and quiet place. This topiary is amazing, right? Well, if you go to Montreal Botanic Park, you will see a lot more wonders! This giant park (around 185 acres!) contains 22 000 different plant species, over two dozen thematic gardens, ten exhibition greenhouses and a lot of other pretty curiosities. The park also hosts several exhibitions each year, like the Mosaicultures exhibition held in 2013 (Mosaiculture is the art of composing flower beds to create patterns or texts by associating some plants colors and shapes, it is not a sculpture, unless it’s associated to Topiary.). Because the Montreal Botanic Park is one of the biggest botanical parks in the world and has a biodôme, an insectarium and a planetarium in addition to all of its gardens, it is a great place to go to spend a nice day, no matter how the weather is. 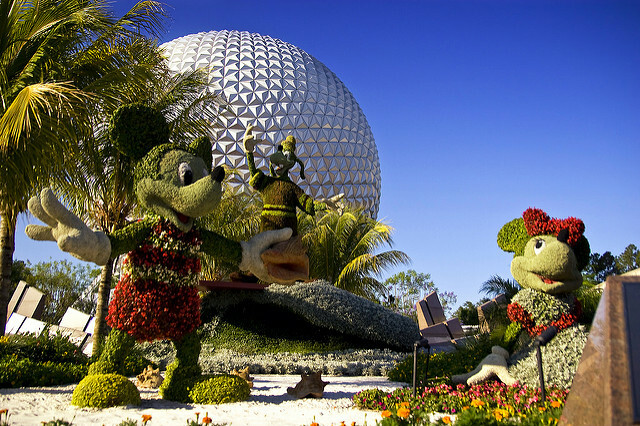 Every year, to celebrate Spring, Walt Disney World Resort in Bay Lake, Florida, organises the Epcot International Flower and Garden Festival. The event was hosted for the first time in 1994 and since that time, is held each year with new surprises, characters, and festivities. This year, the festival will be held from March the 6th to June the 3rd. No need to be a kid to go there and admire the gorgeous plants’ sculptures at Disney World Resort! And if you are fond of the Disney World Resort, you can go there and enjoy festivities all along the year (for example there is the Epcot International Food and Wine Festival each year at the end of Summer or the Epcot International Festival of the Arts held in Winter.). You won’t need to find an excuse to go to Disney World again! 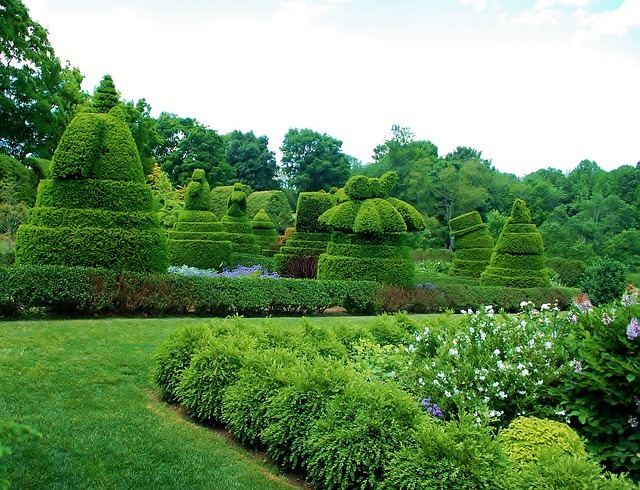 This lovely 22 acres gardens located in Maryland was created in 1937 and contains over 100 topiaries. Here, you can see geometric sculptures and then fall onto a vegetal hunting scene, an arch made in plants or even Churchill’s hat! (as seen on the picture above). The park is giant and organises a lot of events, particularly to teach gardening and the beauty of nature to children, but can also host your wedding (who wouldn’t love to get married in a beautiful place surrounded by gorgeous sculptures?). To celebrate beauty even more, it has a butterfly house with naturalists explaining the cycle of life of this animal that embodies beauty so well. Well done Ladew Topiary Garden! 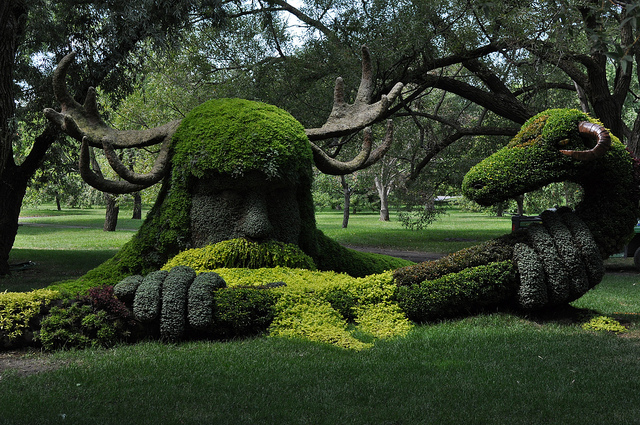 Topiary can really be amazing sometimes and it is so wonderful to see nature and arts be linked this way! Natural decorations are the new fashion!